If you're reading this, it means you've been following the http://georgewashington2.blogspot.com address. We switched over to WordPress, and from now on will only post at http://www.WashingtonsBlog.com. We're in the process of switching over to WordPress. Initially, the website may appear very minimalistic, as the old posts are imported. The old http://georgewashington2.blogspot.com address will also no longer be used, and the rss feeds will change to the main site: http://www.WashingtonsBlog.com. Once the switchover happens, please use http://www.WashingtonsBlog.com for everything - it's easier to say and to remember - instead of http://georgewashington2.blogspot.com. Finally, because the SEO guru who is generously helping us with all of this is currently tinkering, we are currently locked out of posting at the new site. Bear with us ... it's a work in progress! My reaction a couple of weeks later - after seeing an actual artist's rendering of what the tents would actually look like - was hope that the tents would at least keep radiation from spreading worldwide through the air, even if they didn't do anything to prevent contamination of Japan's groundwater or the Pacific Ocean. But nuclear expert Arnie Gundersen says that the tents - while helping to protect workers at Fukushima - will actually increase the dispersion of radioactive gases. Specifically, Tepco will pump radiation out through stacks, which will push radiation up to a higher elevation, dispersing it even further around the world. Gundersen says that Fukushima is still emitting huge quantities of radiation. Along with the widespread Japanese practice of burning materials irradiated by Fukushima - which is sending another wave or radiation worldwide - the tents and stacks will only worsen the global exposure to Fukushima's radiation. Despite the ongoing efforts to cover up the scope of the disasters, new videos prove that all is not well in Fukushima ... or the BP oil spill site. I've repeatedly noted that rampant inequality destabilizes the economy as a whole, and actually causes depressions ... but that government policy is increasing inequality. I've also pointed out that no one - liberal or conservative - likes runaway inequality. Now, Jeffrey P. Thompson (Assistant Research Professor at the Political Economy Research Institute of the University of Massachusetts, Amherst) and Elias Leight (Assistant Analyst Tax Analysis Division of the Congressional Budget Office) have demonstrated that when the wealthiest Americans get richer, everyone else becomes poorer. For example, they demonstrate that when the wealthiest Americans get 10% richer, middle income Americans get 2% poorer. I'm back from a week-long vacation with my family. Thanks to the wonderful guest posters for their great reporting. We'll make guest posting a regular part of Washington's Blog, and we'll also get back to writing ourselves. First up, this shockingly huge $196 billion lawsuit just filed against 17 major banks on behalf of Fannie Mae and Freddie Mac. Bank of America is severely exposed on this lawsuit. As the parent company of Countrywide and Merrill Lynch they are on the hook for $57.4 billion. JP Morgan is next in the line of fire with $33 billion. And many death spiraling European banks are facing billions in losses as well. The Federal Housing Finance Agency (FHFA), as conservator for Fannie Mae and Freddie Mac (the Enterprises), today filed lawsuits against 17 financial institutions, certain of their officers and various unaffiliated lead underwriters. The suits allege violations of federal securities laws and common law in the sale of residential private-label mortgage-backed securities (PLS) to the Enterprises. You can read the suits filed against each individual bank here. For some more information read Bloomberg: BofA, JPMorgan Among 17 Banks Sued by U.S. for $196 Billion. Noticeably absent from the list of companies being sued is Wells Fargo. Wow, Jones Day just created a huge mess for its client and banks generally if anyone is alert enough to act on it. The lawsuit in question is American Home Mortgage Servicing Inc. v Lender Processing Services. It hasn’t gotten all that much attention (unless you are on the LPS deathwatch beat) because to most, it looks like yet another beauty contest between Cinderella’s two ugly sisters. AHMSI is a servicer (the successor to Option One, and it may also still have some Ameriquest servicing). What made the news surprising, of course, was that the Federal Reserve has rarely, if ever, taken action against a bank for making predatory loans. Alan Greenspan, the former Fed chairman, didn’t believe in regulation and turned a blind eye to subprime abuses. His successor, Ben Bernanke, is not the ideologue that Greenspan is, but, as an institution, the Fed prefers to coddle banks rather than punish them. Is the Goldman Sachs CEO facing a new lawsuit? The market seems to think so. 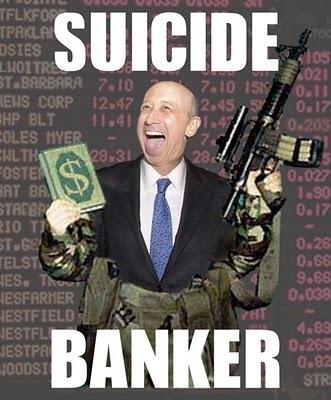 Goldman Sachs just tanked in minutes before the close after news that Lloyd Blankfein hired a lawyer famous for defending vilified execs. It's back up a bit since dropping over 5%, but the news is still concerning. It's unclear whether the lawyer is for him, Goldman Sachs, or both, but Goldman Sachs's CEO Lloyd Blankfein hired Reid Weingarten, a high profile defense attorney who says "I'm used to these monstrously difficult cases where everybody hates my clients," according to Reuters. The analyst, William J. Harrington, worked for Moody's for 11 years, from 1999 until his resignation last year. * Moody's ratings often do not reflect its analysts' private conclusions. Instead, rating committees privately conclude that certain securities deserve certain ratings--but then vote with management to give the securities the higher ratings that issuer clients want. * Moody's management and "compliance" officers do everything possible to make issuer clients happy--and they view analysts who do not do the same as "troublesome." Management employs a variety of tactics to transform these troublesome analysts into "pliant corporate citizens" who have Moody's best interests at heart. * Moody's product managers participate in--and vote on--ratings decisions. These product managers are the same people who are directly responsible for keeping clients happy and growing Moody's business. Wall Street Pentagon Papers Part III – Are The Federal Reserve’s Crimes Still Too Big To Comprehend? The aristocracy is alive and well… thanks to the Fed, of course. Keep in mind, this $1.2 trillion is in addition to the $16 trillion the Government Accountability Office (GAO) audit revealed and the over $2 trillion in Quantitative Easing the Fed dished out, not to mention the now continued promise of the Zero Interest Rate Policy (ZIRP). This is also separate from the $700 billion TARP program that Congress approved. This is yet another unknown secret program, throwing another mere $1.2 trillion in public money at the Wall Street elite (global banking cartel), just being revealed now. Those of us paying attention over the past three years have had Fed crony-capitalism on steroids fatigue for awhile now. Nonetheless, this is deja vu all over again as another mindbogglingly huge story that must be covered comes to light. Also, BlackRock was also one of the managers of the NY Fed's separate $1.25 trillion MBS purchase program as part of QE1. Contrary to the lie on the NY Fed's webpage (that the MBS auctions were conducted via competitive bidding), the NY Fed's own purchasing manager, Brian Sack, admitted in a paper that, "the MBS purchases were arranged with primary dealer counterparties directly, [and] there was no auction mechanism to provide a measure of market supply." Former back office employees from Bear Stearns are coming out of the woodwork to explain how Tom Marano’s mortgage group cheated their own clients out of billions. This week I reported at The Distressed Debt Report, EMC insiders say they were told to make up the classification for whole loans, packaged into mortgage securities, to get them switched out of the trust. By classifying the loans as ‘prepaid’ or having ‘subsequent recoveries’ Bear employees were able to fool the trustee into giving them back loans they were not able to legally service. A move New York Attorney General Eric Schneiderman is actively investigating now. In my latest DealFlow story we hear from EMC staffers who describe how subprime loans, that would have been sold by Bear Stearns trader Jeff Verschleiser’s team, never had a proper servicing license in West Virginia when they were packaged into the residential mortgage backed security. In 2003 Bear/EMC put $100 million of subprime loans from West Virginia into a few RMBS transactions. EMC, the banks wholly owned mortgage servicing shop, would service all of Bear’s RMBS after they were sold. The big banks are getting lit up! Let's end with this video. We need to keep in mind that the Federal Reserve has known about all of this criminal activity from the start. Yet, they have done everything they could, and are still trying, to keep this criminal operation up and running. As all these criminal banks begin to blow up, let's not forget who their central bank is and what they have done to the American people. Tropical Storm Lee now has winds approaching 60 miles per hour. Louisiana has heavy rain, and authorities warn of flooding in Alabama and Mississippi as well. States of emergency have been declared. Of all the challenges facing Vermont as it tries to recover from the floods caused by the remnants of Hurricane Irene, there may be none more daunting — or vital to solve — than repairing and reopening the hundreds of roads and dozens of bridges that the storm knocked out. In many spots, the roads must be fixed before equipment can be brought in to repair everything from homes and businesses to the power grid, railroad tracks and water and wastewater systems. 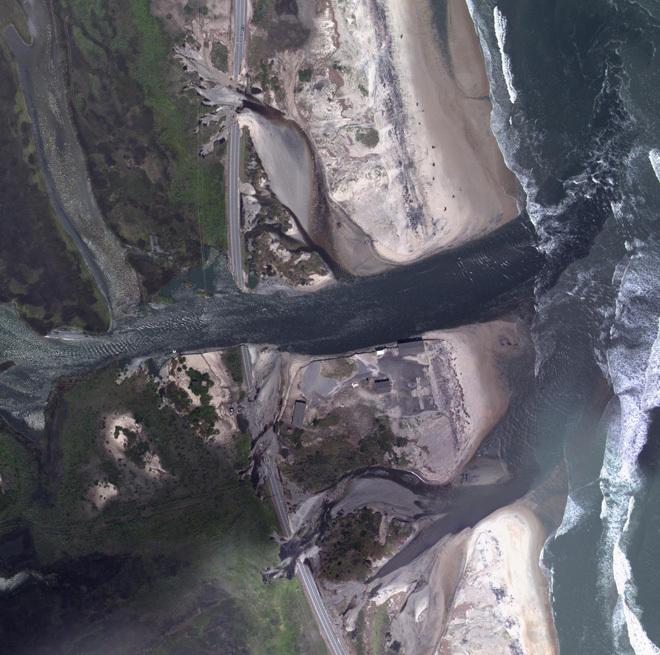 Over the past two weeks, I have been closely following reports of renewed leaking in the Macondo oil field, the site of last year’s Deepwater Horizon disaster. Five of the 57 ingredients in dispersants approved by the U.S. Environmental Protection Agency for use on oil spills are linked to cancer, finds a new research report based on data obtained through a Freedom of Information Act request by environmental groups on the Gulf of Mexico. The report from Earthjustice, an environmental law firm, along with Toxipedia Consulting Services, is based on material released by the U.S. EPA in response to a Freedom of Information Act request made by Earthjustice on behalf of the Gulf Restoration Network and the Florida Wildlife Federation. The amount of radioactive cesium ejected by the Fukushima reactor meltdowns is about 168 times higher than that emitted in the atomic bombing of Hiroshima, the government’s nuclear watchdog said…. Open proposal for US revolution: expose corporate media as propaganda. 4 of 4. By Carl Herman, National Board Certified Teacher in economics, government, and history, who blogs as the Nonpartisan Examiner at Examiner.com. Carl was one of the leaders who launched the microcredit movement, and is a tireless activist for peace and justice. I am NOT calling for the overthrow of the government. In fact, I am calling for the reinstatement of our government. I am calling for an end to lawlessness and lack of accountability and a return to the rule of law. Rather than trying to subvert the constitution, I am calling for its enforcement. My friend and colleague for justice, Washington’s Blog’s author, invited me to “guest blog.” I’ll provide two. First: Gandhi’s conclusion of the essential importance of speaking Truth. Second: a 4-part series to document that current US wars are unlawful, US economic policy is massive criminal fraud, and that these “emperor has no clothes” facts are lied about by US corporate media in constant deception. “We denounce with righteous indignation and dislike men who are so beguiled and demoralized by the charms of pleasure of the moment, so blinded by desire, that they cannot foresee the pain and trouble that are bound to ensue; and equal blame belongs to those who fail in their duty through weakness of will, which is the same as saying through shrinking from toil and pain. These cases are perfectly simple and easy to distinguish. In a free hour, when our power of choice is untrammeled and when nothing prevents our being able to do what we like best, every pleasure is to be welcomed and every pain avoided. But in certain circumstances and owing to the claims of duty or the obligations of business it will frequently occur that pleasures have to be repudiated and annoyances accepted. The wise man therefore always holds in these matters to this principle of selection: he rejects pleasures to secure other greater pleasures, or else he endures pains to avoid worse pains.” - Marcus Tullius Cicero, On Duties: The Extremes of Good and Evil, 44 BCE, translated by H. Rackham (1914). Revolution is from the Latin, revolutio, a “turn around” of political power. The US public would revolt and end unlawful US wars and banksters’ rigged-casino fraud if they understood and embraced the central facts of these issues. This four-part series of articles provides the central facts, invites passionate public response, and proposes specific revolutionary public action. Please share the Revolution to end unlawful US wars and return trillions of our dollars to constructive work. With millions of lives at stake (perhaps billions), there is nothing more important for public participation. These four articles are academic in language and documentation. My citizen advocacy paper, Government by dicts, has additional resources. Why corporate media propagandizes and won’t expose the “emperor has no clothes” obvious: They’re complicit with government “leadership” is the prima facie explanation. Let’s examine this important question more closely. Much of the factual evidence I provided was probably new and surprising. Given the importance of the information in this paper, verifiable factual credibility, and expert testimony to promote it, the fact that corporate media will not comprehensively report it is circumstantial evidence of collusion to support unlawful government policies. Circumstantial evidence is not definitive, but will raise your eyebrows to ask why you haven’t been informed from corporate media sources. Let’s consider the specific case of corporate media collusion with official government rhetoric to lie about Iranian President Ahmadinejad’s October 2005 speech and contrive a non-existent physical threat to Israel. First: for the US political leaders and corporate media to accuse the president of Iran with threatening to destroy Israel, that’s the most serious of accusations. A threat of national destruction is the most vicious statement a head of state can make. For corporate media to not be in collusion to “report” this proven lie would have to mean that everyone involved in the story never read the speech in question, never consulted with Persian experts, and disregarded all people like me who informed them of their egregious error. Again, here’s my link of corporate media’s “reporting” in print and television allowing US political leaders to lie and repeating the lie themselves. Of course, you have to verify the speech in order to not interpret the facts as a mistranslation or possible translation. This is appropriately analogous to checking the instant replay of the pitch at the baseball game to make sure it really was so outrageously outside the strike-zone that an “official” call that the pitch was a strike is stating a known lie. If it was an immediate error, it could and should have been corrected. That six years have passed and corporate media doesn’t inform Americans of the actual content and context of the speech is absolute evidence of an official propaganda arm of the same oligarchy spinning for unlawful war against Iran. When we now know that all claims for war with Iraq were known lies as they were told (and verbally explained here), and CNN provides similar innuendo for war by an unsourced alleged report with concerns of what might occur in the future allegedly stated by an unnamed US source reporting on an unnamed foreign source, this is propaganda and not news. For another specific example, Mike Wallace of the famed television show 60 Minutes won an Emmy for a contrived interview with President Ahmadinejad in 2006, where Mr. Ahmadinejad’s comments encouraging democracy for Palestinians was edited to appear that he was hostile to Israel. You can verify this “emperor has no clothes” obvious lies and propaganda by watching the brief 5-minute clip for yourself in this article. "Torture at Times: Waterboarding in the Media," a paper published from Harvard's Kennedy School of Government, found from the 1930s to 2004 that The New York Times reported waterboarding as torture 82% of the time, and The Los Angeles Times did so 96%. After stories broke that the US was waterboarding "detainees" in US unlawful wars, the papers' reporting of waterboarding as torture dropped to 1% and 5%, respectfully. In addition, after the US admitted to waterboarding, The Wall Street Journal called it torture in just 1 of 63 articles (2%), and USA Today never called it torture. A June 2010 Rasmussen poll found 66% of voters "angry" at the media, with 33% "very angry." Rasmussen also found 70% "angry" at current federal government policies. The genesis of oligarchic control of American major media was reported in the US Congressional Record in 1917. US Congressperson Oscar Callaway claimed evidence that J.P. Morgan had purchased editorial control over 25 of the nation's most influential publications in order to create public support for US entry into World War 1 and his new banking legislative victory: creation of the Federal Reserve system. Mr. Callaway's colleagues voted down an official investigation. Related history is summarized and documented in this brief article, "The news media at war." Importantly, it is also likely that disinformation programs infiltrate the comments of independent writers, like this source that you’re reading. Don’t be surprised if my proposal for Revolution attracts propagandistic attack of predictable rhetorical fallacies such as slurs of my character, straw-man arguments of what I write, denial of facts, lies of omission of central facts, and whatever other BS (thank you, Professor Frankfurt). The discerning characteristic of all propaganda is non-factual bravado and specious argument in order to maintain manipulative control of an agenda and distract attention from the damning facts. You, the reader, are sharp enough to discern such propaganda. The specific pathway for Revolution will be created as Dr. King and Gandhi discovered: through trial and error. What we’ve learned through their process is broad public and political communication of the facts and appropriate formal policy requests to honor what we’ve already won under the law. I’m among several who champion a policy strategy of an American Truth and Reconciliation process. When one confirms the lies for war and economic fraud, the obvious conclusion is that “leadership” of both parties are so deeply involved in criminal acts that perhaps the best response is to split those willing for a “Scrooge conversion” to disclose critical facts in exchange for no prosecution. Martin King and Mohandas Gandhi demonstrated in their campaigns that transformative civic education causes a critical mass of educated people for breakthroughs in history-altering public policy. The public benefits of Revolution are the end of unlawful US wars and turning trillions of our dollars from unlawful fraudulent profits of an oligarchy to the public good of Americans producing the real economic value. Again, imagine: how could you have helped the Civil Rights movement if Dr. King had asked? What would you have done if Gandhi asked for your help? In the converse: would you be proud today of rejecting Dr. King’s direct invitation for partnership in a Revolution for Civil Rights when he was only asking for public education on the clear letter and spirit of the 14thAmendment? Would you be proud today of rejecting Gandhi’s direct request for partnership in civic revolution to end the evils of unwanted imperialism by the strong against the weak? "One thing we have endeavoured to observe most scrupulously, namely, never to depart from the strictest facts and, in dealing with the difficult questions that have arisen during the year, we hope that we have used the utmost moderation possible under the circumstances. Our duty is very simple and plain. We want to serve the community, and in our own humble way to serve the Empire. We believe in the righteousness of the cause, which it is our privilege to espouse. We have an abiding faith in the mercy of the Almighty God, and we have firm faith in the British Constitution. That being so, we should fail in our duty if we wrote anything with a view to hurt. Facts we would always place before our readers, whether they are palatable or not, and it is by placing them constantly before the public in their nakedness that the misunderstanding… can be removed." “‘A time comes when silence is betrayal.’ That time has come for us in relation to Vietnam. I do not place myself in Gandhi and Dr. King’s company, and I assume that neither do you. But I do suggest that We the People are like in spirit and will stand for Revolution in the face of War Criminals and destruction of trillions of families’ and children’s dollars. In consideration for Revolution, you should also know that the King family's civil trial found the US government guilty of Dr. King's assassination. US Corporate media refused to cover the trial or interview Dr. King's wife. His family's opinion is that the US government murdered Dr. King to end his protests against unlawful US wars and his call to end poverty. In conclusion: The century within which we were all born witnessed over 250 million human beings slaughtered by governments in war and atrocities. War is used as a continuous “foreign policy,” with the US in present egregious and unlawful abuse of their superpower status. History will judge when Americans developed the education competence to evolve beyond endless wars. You can help make that time now. Because the facts are so easily verified and all on our side, education of anyone and everyone is one component. This will become a sophisticated and multi-front campaign similar to the Civil Rights Movement. Create public and political will. Gandhi demanded political independence of India. Dr. King demanded equal treatment under the law. Millions of Americans informed of the facts can and should demand an end of unlawful war, return of Constitutional rights, and the end of parasitic criminal fraud of trillions of our dollars every year. The fact of "emperor has no clothes" obvious UNLAWFUL war is a trigger for those of us with Oaths to defend the US Constitution to refuse all orders for unlawful war and act for the arrest of those who issue them. An elegant way for peaceful surrender of War Criminals and “banksters.” I’m a leader for the education and promotion of Truth and Reconciliation to exchange full factual disclosure and return of public assets for no prosecution. Those who decline will be prosecuted after the window of Truth and Reconciliation closes. That whenever any form of government becomes destructive to these ends, it is the right of the people to alter or to abolish it, and to institute new government, laying its foundation on such principles and organizing its powers in such form, as to them shall seem most likely to effect their safety and happiness. Prudence, indeed, will dictate that governments long established should not be changed for light and transient causes; and accordingly all experience hath shown that mankind are more disposed to suffer, while evils are sufferable, than to right themselves by abolishing the forms to which they are accustomed. But when a long train of abuses and usurpations, pursuing invariably the same object evinces a design to reduce them under absolute despotism, it is their right, it is their duty, to throw off such government, and to provide new guards for their future security. --Such has been the patient sufferance of these colonies; and such is now the necessity which constrains them to alter their former systems of government." - US Declaration of Independence. July 4, 1776.